Back in 2016, Apple did something for the first time ever: it reused the same iPhone design for a third consecutive year. 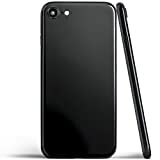 The company had always reused iPhone designs for its “S” updates, but then a fresh new design would arrive the following year when a new numbered iPhone model was released. The iPhone 7 and iPhone 7 Plus looked exactly like Apple’s iPhones from the previous two years though, so the company had to do something to help differentiate them. 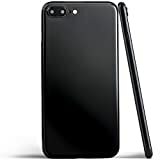 That’s why Apple added a dual-lens camera to the iPhone 7 Plus and two new color options to both new models, including a gorgeous Jet Black finish that was in high demand all year long. Jet Black is now long gone, but its spirit can live on if you want it too. 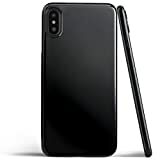 The Totallee Ultra Thin iPhone Case everyone loves is now available in Jet Black on Amazon, and you can get it for your iPhone 8, iPhone 8 Plus, or iPhone X for just $20.